ESU is a collaborative organisation working with a wide variety of governmental and non-governmental organisations in Europe and beyond. 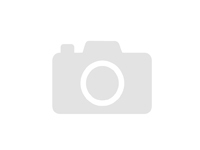 On this page, you will find information and links to the main partners of ESU. 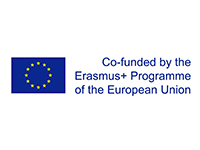 The European Students’ Union (ESU) has a strong relationship with the European Commission and the Education, Audiovisual and Culture Executive Agency. It receives financial support to run projects, and is a beneficiary of an operating grant that is used to fund the core activities of the organisation. To learn more about those projects that ESU coordinates or is involved in as a partner organisation, go to projects. 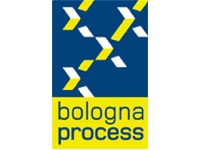 ESU is an active member of the Bologna Follow Up Group which is charged with monitoring and guiding the implementation of the Bologna Process across 47 European countries. Members of the Bologna Process are the 47 countries, together with the European Commission, and the consultative members, namely the Council of Europe, UNESCO, EUA, ESU, EURASHE, ENQA, Education International and BUSINESSEUROPE. 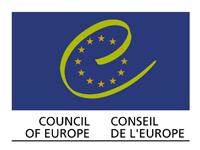 The Council of Europe (CoE), based in Strasbourg, is both one of ESU’s founders and a regular project partner. The CoE is one of the oldest international organisations working towards European integration, having been founded in 1949. It has a particular emphasis on legal standards, human rights, democratic development, the rule of law and cultural co-operation. It has 47 member states with some 800 million citizens. It is distinct from the European Union (EU) which has common policies, binding laws and only twenty-seven members. The two do however share certain symbols such as their flag. 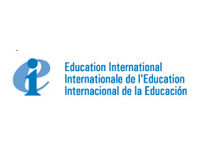 ESU’s other key partner is Education International, a global union federation of teachers’ trade unions. Currently, it has 401 member organisations in 172 countries and territories, representing over 30 million education personnel from pre-school to university. This makes it the world’s largest sectorial global union federation. Much of ESU’s external work is conducted through an alliance of higher education organisations. This alliance, known as the ‘E4 group’, consists of the European University Association (EUA), the European Network for Quality Assurance (ENQA) and the European Association of Institutions in Higher Education (EURASHE). It works on a regular basis together on issues of mutual interests and concern and is considered a highly influential and well-respected partner in European higher education. In addition to our work with them in the E4 group, ESU and EUA have a strong bilateral partnership and cooperate on a number of projects including institutional relations and evaluation programmes. 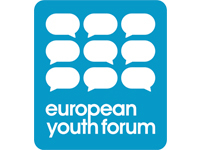 ESU is a member of the European Youth Forum (YFJ) and contributes to its work on education policy at the European level. 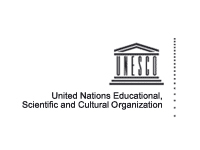 The United Nations Educational, Scientific and Cultural Organization (UNESCO;) is a specialized agency of the United Nations, established on 16 November 1945. Its stated purpose is to contribute to peace security by promoting international collaboration through education, science and culture in order to further universal respect for justice, the rule of law, and human rights along with fundamental freedoms proclaimed in the UN Charter. ESU and UNESCO closely collaborate primarily on a greater global student dialogue, and secondly in fighting against disreputable higher education providers and ensuring full implementation of the joint OECD-UNESCO guidelines for quality provision in transnational higher education. Debating Europe is a successful innovative online platform launched by the Friends of Europe and Europe’s World, in partnership with the European Parliament, Microsoft Europe, and Gallup. It puts citizens’ ideas and suggestions on vital issues shaping our future directly to policymakers and influential thinkers to either support or criticise. 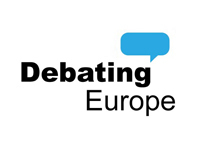 Join the debate at www.debatingeurope.eu. 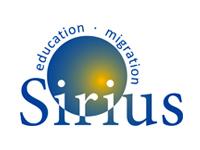 SIRIUS is a European platform that brings together key stakeholders in migration and education from around Europe, including policy makers, researchers, practitioners and representatives of migrant communities. SIRIUS transfers knowledge and influences policy developments in order to help pupils from a migrant background achieve the same educational standards as their native peers. POLITICO’s EU Studies Fair is the largest educational and networking event in the world focused on graduate and postgraduate programs in EU studies, international relations, business, economics, public policy and law. Since 1999, the EU Studies Fair has been a reference for world-class academic institutions to recruit top students from across the world for graduate and postgraduate programs. Covering 45 countries, European University Sports Association (EUSA) works in the field of sport in higher education, promoting physical activity, sports for all, dual careers and social responsibility projects in and through sport. University students can take part in the European Universities Championship and European Universities Games, combining sport, education, culture and socialising. For more information about EUSA, please check the official website.